Here's a comp for my black and white illustration class right now. 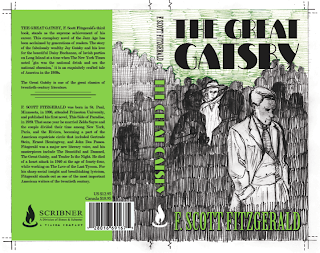 We're working on book covers, and I chose The Great Gatsby (obviously) and could use some feedback. I already talked with Brian Kane (the instructor) and our visiting artist Jeff Carlisle, and could use a bit more criticism. The pencil technique isn't going to be exactly the way it currently is. Instead, it'll be a bit more controlled and closer together so that the areas with the crowd appear darker. Have at it. I really like how this is going so far. I think it would really help to have more variation in characteristics of the silhouettes. Sweet colors.